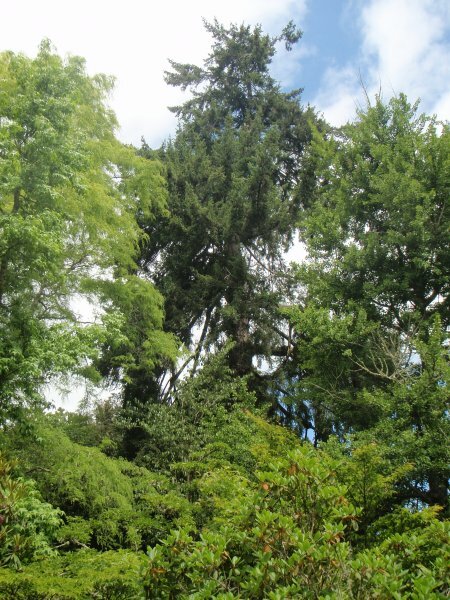 This Douglas fir is one of the early established trees in the garden (Judd, D.A. 2012). Read the history of Westoe and biographical notes for Sir William Fox on group listing MWR/G1052. Sighting taken from the driveway. The tree has a fair form and is showing its age. Within the central to southern portion of the garden.